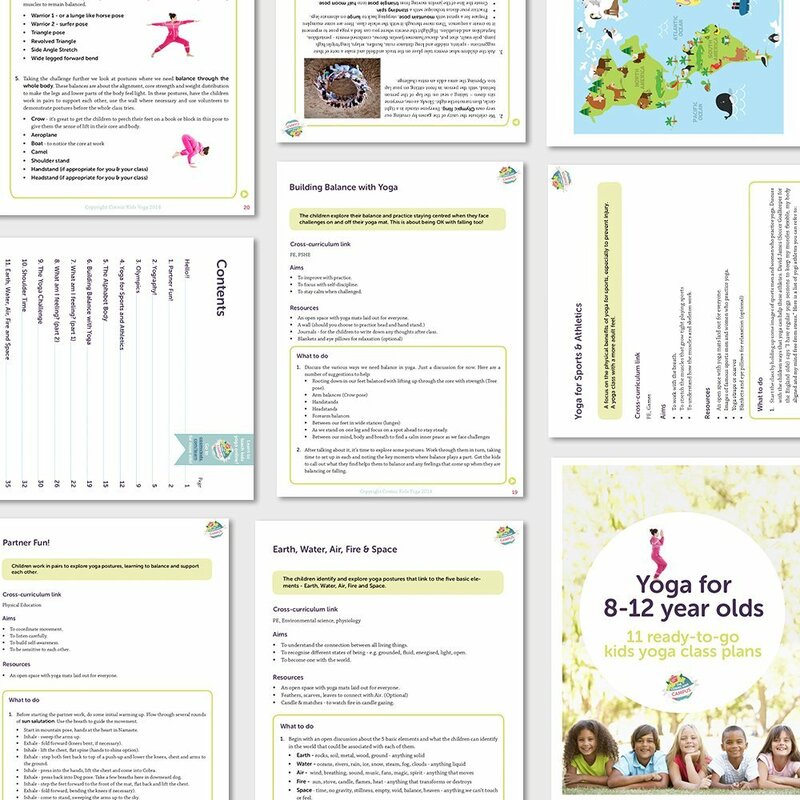 11 comprehensive kids yoga class plans aimed specifically at 8-12 year olds – written, tried and tested by Jaime. 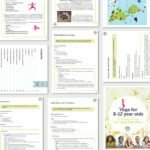 Each class plan offers step by step instructions for teaching relevant and educational themed classes, with cross curriculum links, aims for each class and a list of resources required. Download the FREE sample pack of class plans for a sample plan from this bundle and many more! This is a 38 page PDF crammed with tried and tested class detail. Children work in pairs to explore yoga postures, learning to balance and support each other. We travel the world, using yoga postures to learn about nature, geography and culture across the continents. The children try group and individual yoga postures to represent the unity and events of the Olympic games. A focus on the physical benefits of yoga for sports, especially to prevent injury. A yoga class with a more adult feel. We show how yoga helps particular parts of the body, using a fun alphabet-based game. The children explore their balance and practice staying centered when they face challenges on and off their yoga mat. This is about being OK with falling too! We consider how yoga makes us feel, trying yoga postures and breathing techniques to notice their effects on our bodies and minds. We continue to explore the way certain yoga postures make us feel. Do this class after Part 1. 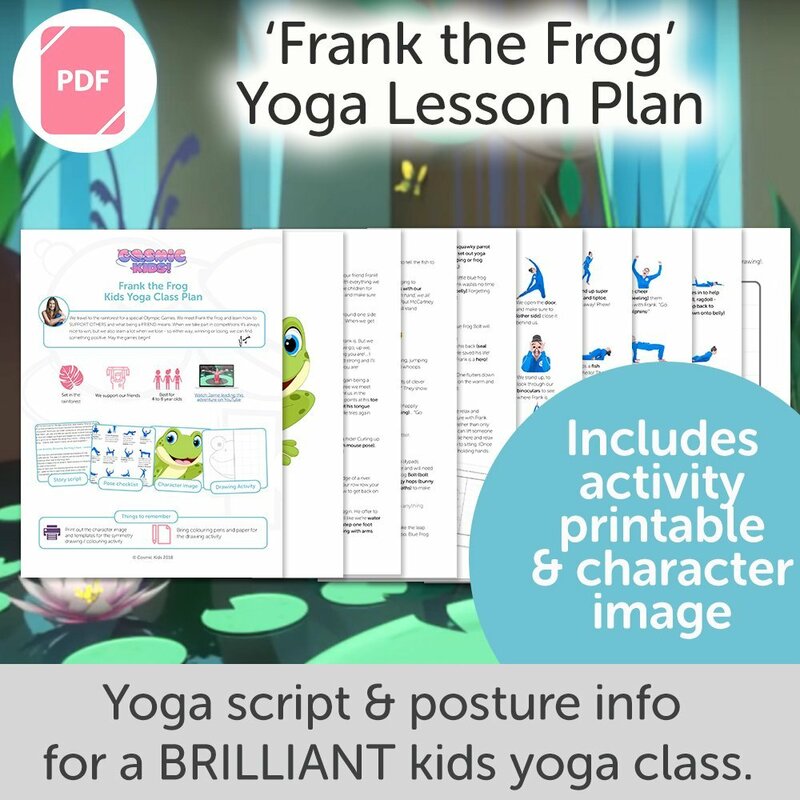 A class about working together and building a yoga sequence based on the children’s knowledge and understanding about yoga poses learnt so far. The children focus on their shoulders, releasing tension, building strength and opening the chest for a better posture. 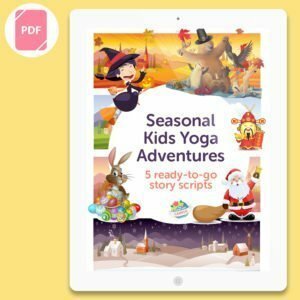 The children identify and explore yoga postures that link to the five basic elements – Earth, Water, Air, Fire and Space. 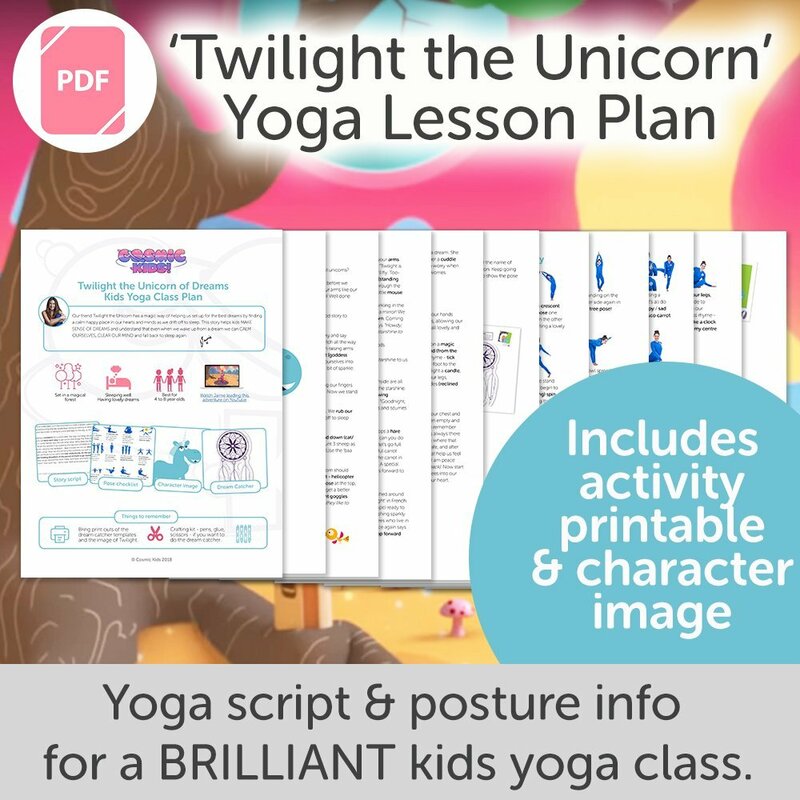 For help with learning the postures, download our definitive visual guide to kids yoga poses and how to instruct them, The Big Book of Kids Yoga Postures.